Welcome to the Turquoise Tracks Store. There’s something special about receiving an actual CD through the post – a tangible piece of art – complete with inlay booklet, visual artwork and images (most CDs here include 16 page booklets). On this page you can order a CD by post and it will reach your address – or a gift address – within a couple of days. 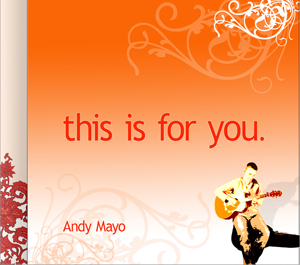 If you are sending the CD as a gift, include a message in the “notes” section. First Class UK postage or slower worldwide postage is included in the price. Alternatively you can access the music from your favourite streaming own download service. 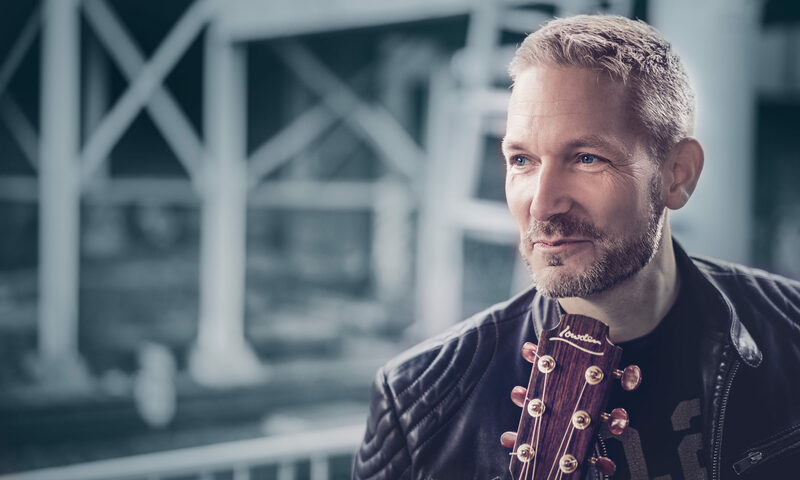 The songs are gripping – stories, questions, insights… subtle “Hide” to the full on funk of, “Broken Man”, Psalm-echoing “Show me” to the film-inspired “A Place?”. With the brilliant film music virtuoso, Lester Barnes, pouring his creativity into the arrangements on this latest Andy Mayo album, “Lavish” is resplendant with strings, choirs and funk horns sections… this is an inspired, textured and facinating recording. 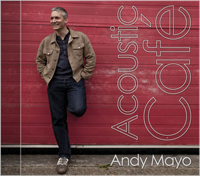 With an eclectic mix of styles – drawing from blues, jazz, folk and a hint of funk, Andy’s music fits well into the unique and vibrant ambience of the intimate venues chosen for “Acoustic Cafés”. Coffee, conversation and great music define these evenings! 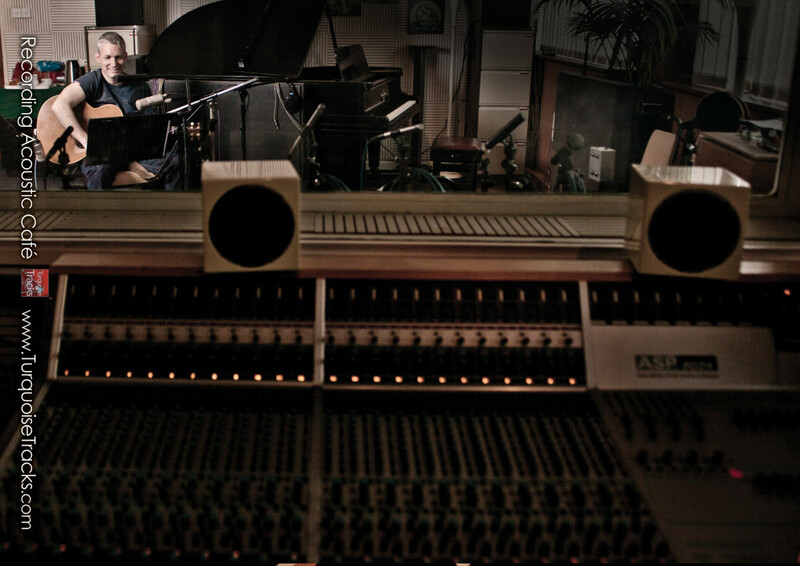 “ONE VOICE, ONE GUITAR, ONE TAKE”. 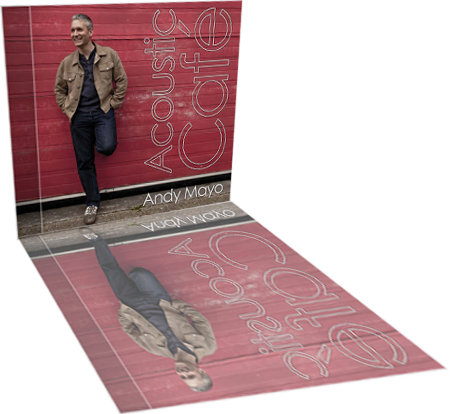 A solo recording – Andy and guitar – this CD is made up of twelve songs from three studio releases including acoustic versions of four new songs released on the studio CD, “Lavish”. “Acoustic Café” is available here as a CD from on the Turquoise Tracks website on iTunes, Spotify and other digital outlets. 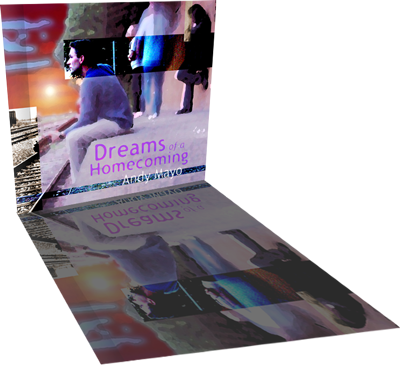 “Newly released by Andy Mayo on the Turquoise Tracks label, “Dreams of a Homecoming”. A fusion of funk, jazz and R&B: melting ballads contrast with driving rhythms. 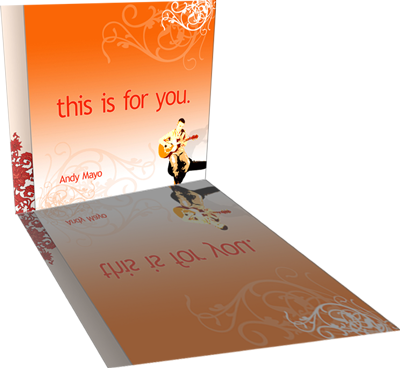 A lyrical poetry soaks the recording… Andy’s blues-folk vocal lines – now raw, now mellow – cut to the soul. These are songs that echo long after the CD has stopped spinning.